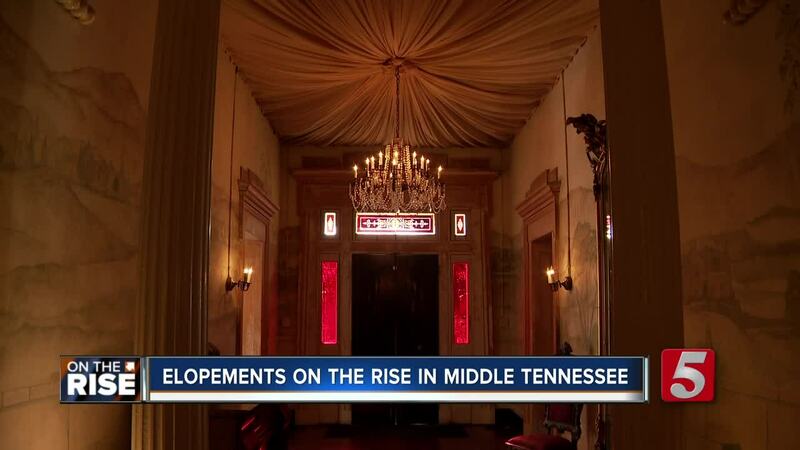 Nashville has not only become the "it" city to live in, but it's also becoming the "it" city for elopements. 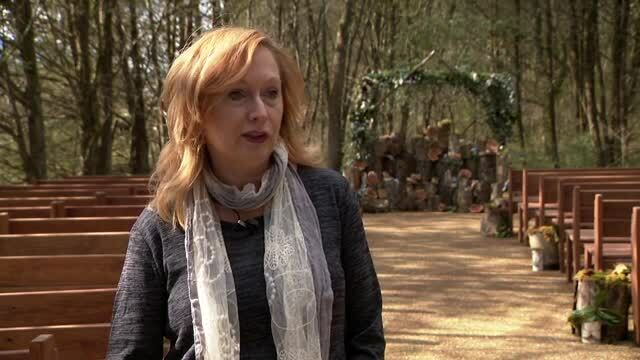 Couples from Brazil, Ireland, and even Canada have visited a wooded area on a farm in Goodlettsville to tie the knot. Arline Beets said, "It's not so much focused on the family and the guests, it's more focused on them." Beets and her family operate a wedding venue at Drakewood Farm . Their elopement package starts at $600. While elopements are a growing trend, they're nearly booked solid into 2020 with large scale weddings too. Beets said, "Certainly an elopement is a fraction of the cost of a full size wedding, if you don't want to pay the equivalent price of a down payment on house or a car, an elopement's a wonderful option." Beets eloped with her husband, and now she makes sure other couples who elope have the perfect wedding day. Beets said, "When all is said and done, all you really have are the photos at the end of the day, so I think a lot of people are doing it because they have more time for photos, they have more time to be with each other, and to just have a great time." Down in East Nashville at the Riverwood Mansion , wedding planners stay busy too. Megan Sanders said, "We have packages in all price ranges. From our intimate weddings for 2, to our large 300 count weddings." Every week they get over 2 dozen calls from couples who want a small intimate wedding. "Elopements are different than they once were, they’re not a couple running off to secretly get married. They’re planning weeks, months, even a year in advance for their closest friends and family to be here on their special days," said Sanders, sales manager at Riverwood Mansion. Built in the late 1790's, the Riverwood Mansion's walls have seen lavish parties for U.S. Presidents. Now, it's also seen dozens of in-love couples say "I do." Elopement packages at the Riverwood Mansion start at $900. Wedding planners said if you want to elope, you may have to be flexible on your date and time.